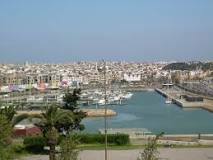 If an investor is looking for a new location for a business opportunity they may well consider Morocco. The country has a number of distinct advantages that are difficult to match elsewhere. Morocco has been a tourist destination for generations by Westerners who wanted an exotic vacation, that was geographically accessible (only a few miles from Europe). Today, it is once again, the location of the country that makes it an excellent place for investment. Recognizing the potential of the country to become a major global exporter, the kingdom has undergone a major upgrade and expansion of the transportation infrastructure including rail, highway and port facilities. The country is also putting forth a major effort to enhance the communications sector as well. 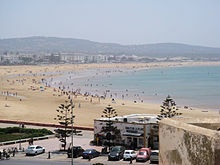 The country of Morocco at present is enjoying a foreign-investment boom. The nation is located on the northwest corner of Africa which affords close proximity to markets in Europe. The country is experiencing an annual rate of economic growth in excess of 4%. The population of the country at 33.3 million is skilled, yet relatively low cost. Morocco is ranked 87th in the ease of doing business. The creation of free zones and industrial parks by the government, are an indication that the country is ready for a major industrial and commercial expansion in different sectors of the economy. 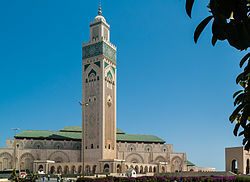 Unlike many other areas of Africa, Morocco has political stability. The reign of King Mohammed VI is in no real danger despite a number of protests that have erupted over economic and public service issues. The stability of the country has permitted steady economic growth over a number of years with a GDP (Gross Domestic Product) per capita of $3290 USD (United States Dollar). In PPP (Purchasing Power Parity) that equals $5,760 USD. Inflation is relatively low at 3.1%. It was 2.4% in 2013. Since 1993 the government of Morocco has followed a policy of privatization. The relatively liberal economy of the country has grown during the past 20 years. In 2013 the GDP of the country reached a milestone when it passed $100 billion USD for the first time. In PPP the GDP estimate for 2014 is $191 billion USD. 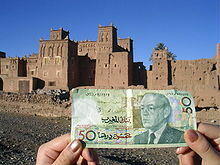 This makes Morocco the 54th largest economy in the world. The GDP by sector is well balanced, for a country at this point of economic development. Services account for roughly half of the economy at 51.4%. Industry is next at 31.6% and agriculture third with 17.1% of the economy. The population below the poverty line is now below 10% with the labor force standing over 12 million. Unemployment though as of 2013, was still rather high at 8.8%. The main industries of the country include tourism, construction, textiles, leather goods, food processing, phosphates, rock mining and processing. 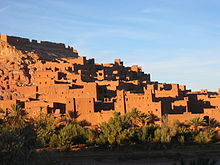 The historical ties with France easily make that country the largest export market for Morocco. The French absorb 21% of the total. Geographic proximity makes Spain the second largest export market with 17.3% of the total. The other 3 partners consist of Brazil at 5.4%, India 4.9% and the United States at 4.6%. The total amount of goods exported in 2013 was estimated at $22.23 billion USD. The majority of exports consist of clothing and textiles, electric components, inorganic chemicals, transistors, crude minerals, fertilizers, phosphates, petroleum products, citrus fruits, vegetables, and fish. Imports mostly consist of crude petroleum, textile fabric, telecommunications equipment, wheat, gas, electricity, transistors and plastics. The total value of the goods imported into Morocco was estimated to be $45.83 billion USD in 2013. This gives the country a sizable trade deficit( in goods) in excess of $20 billion USD. The major trading partners for imports have Spain taking the top rank at 13.1% followed closely by France with 12.1%. Next is China, the United States and Saudi Arabia at 6.9%, 6.8% and 6.2% respectively. Italy follows with 5.1% followed by Russia at 5.0% and Germany at 4.9%. FDI (Foreign Direct Investment) was estimated to be $42.19 billion USD at the beginning of 2011. The equivalent of billions of USD in new investment are being added yearly. Gross external debt at the beginning of 2011 stood close to $22.70 billion USD. Foreign Reserves at the beginning of 2014 were in excess of $18 billion USD. Morocco has become a major player in African economic affairs. It now takes the 5th rank in GDP on the continent if one is considering purchasing power parity. The country is the second most competitive country in North Africa. Only Tunisia is ahead in this measure. In the quality of life index the nation is ranked first. South Africa held this rank until just recently. The reforms of the 1990’s, resulted in economic growth rates in the range of 4% to 5 % in the years 2000 to 2007. After a slowdown in 2007 as a result of world economic issues, the economy picked up speed once again. The major resources of the economy are agriculture, phosphates (3rd largest producer in the world) , and tourism. The sectors of the economy that are experiencing the highest rate of growth are textiles, telecommunications and of course, tourism. Among the financial challenges facing Morocco include the public debt which already stood at 62.5% in 2013. Another problem is the high cost of imports, especially petroleum products. Another issue is that of unreliable precipitation, which can often lead to drought. Since agriculture is so important to the general welfare of the economy, the adequate supply of water will continue to be a problem. Overall government revenues in 2014 stood at $40.47 billion USD but expenses were higher at $44.34 billion USD. Yearly economic aid although in excess of $1 billion USD, is not enough to make up the shortfall. Regardless, it still permits the country either a stable or positive credit outlook in the BBB range. 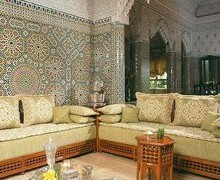 If one is considering an investment in Morocco it would make sense to capitalize on the strengths of the economy. One should also consider what are the needs of the economy and it’s citizenry? If you are considering an investment in agriculture for example, the potential can be matched by few Arab or African countries. Morocco could easily achieve self sufficiency with proper management and investment. The country possesses 85,000 km2 or 33,000 square miles of arable land. One seventh of the total can be irrigated at present. The country is mostly in the temperate Mediterranean climate zone, so crops could be grown year round. An investor could make a good return on raising fruits, vegetables, nuts, flowers and other specialty items for the lucrative Western market. It should be noted, that Morocco is among the world’s largest producers and exporters of cannabis. 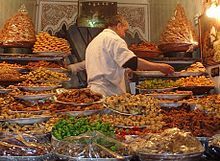 Morocco is still considered the largest fish market in Africa and the industry is a leading foreign exchange earner for the kingdom. The industrial and manufacturing part of the Moroccan economy is another place where there is extensive foreign investment and as a result, good growth potential for expansion. At present the most important aspects are processing raw materials for export and manufacturing consumer goods for the domestic market. However, opportunities for investment abound. The recent expansion of operations in the kingdom by Renault, Bombardier Aerospace, Delphi, Dell, GDF Suez and Acciona are all examples, of larger companies taking advantage of what the kingdom has to offer. Tourism is a major component of the economy as well. 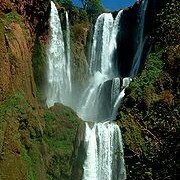 Morocco has become a top destination with millions of tourists arriving on an annual basis. Given the historical, geographic and climate assets of the country, one can easily make a relatively safe and lucrative investment in this industry. Especially because of tourism, there is still a great deal of potential in the retail market. An investor might also consider information technology, as more of the country is rapidly updating infrastructure in this area. Since the importation of energy is a major drain on the economy of the country, an investment in this sector could be particularly lucrative. The climate of the country is especially conducive to a major expansion in solar power, wind and other renewable energy sources. Morocco overall has endless investment opportunities. Previous Post → Invest in Israel With G. Willi Food-International Ltd.